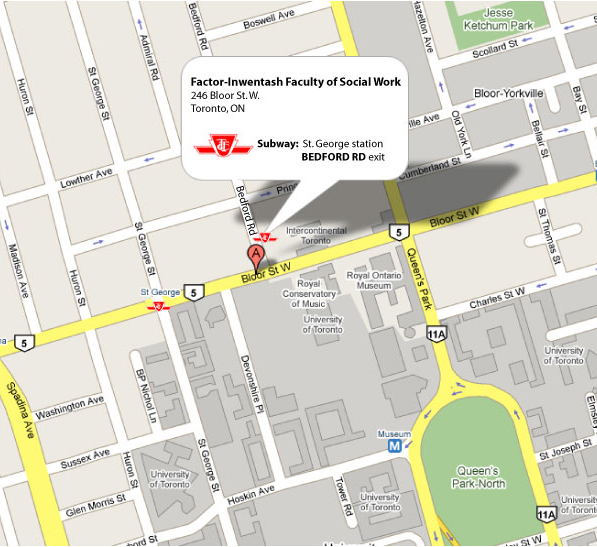 The Factor-Inwentash Faculty of Social Work is located at the intersection of Bloor Street W. and Bedford Rd., just steps away from the Royal Ontario Museum. 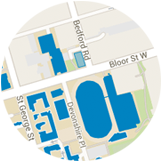 We are conveniently located next to St. George subway at the Bedford Rd. Exit.